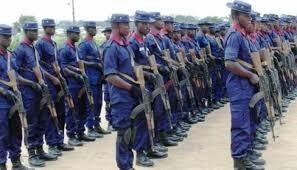 The Nigerian Security and Civil Defence Corps has announced plans to deploy 5,000 personnel from its Agro-Rangers Unit to protect farmers from attacks by bandits and kidnappers. The Commandant-General of the NSDC, Abdullahi Muhammadu announced this at a news conference in Maiduguri, the Borno State Capital. Muhammadu said the deployment was to forestall attacks on farms and to boost farmers’ confidence in carrying out their activities without fear. The NSCDC Agro Rangers Unit is an initiative of the Minister of Agriculture and Rural Development, Audu Ogbeh and the Minister of Interior,Lt. Gen. Abdulrahman Dambazau( Rtd). Muhammadu explained that the establishment of the unit followed the recommendation of a committee headed by the Director, Joint Services in the Ministry of Agriculture and Rural Development, Noah Auta, which was inaugurated in 2016 as a result of the farmers and herders clashes.